Majestic Limousine is a full limousine rental transportation company that provides a wide selection of limo rentals at very competitive prices. Since 1989, Majestic Limo has provided limo rentals in the Washington DC and Northern Virginia area for government, corporate, and private clientele. 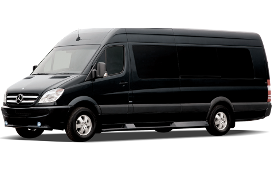 We provide a wide range of limo and shuttle services including: scenic city tours, wedding limo, proms, birthday, bachelorette/ bachelor party, concerts, games, wine tours, shuttle bus, shuttle van, as well as corporate limousine shuttle service, and out of town trips. We are fully licensed and insured through both the state of Virginia and the federal government (DOT). All of our employees are licensed, trained, and are required to pass criminal background checks/ drug testing. Everything about Majestic Limo Service is first class and professional. And, perhaps most importantly, we treat all of our clients like royalty. We offer a full complement of limousines for transportation to local attractions, Washington DC tours, airport transportation, corporate travel, wine tours and much more. Our limo services are constantly ranked as one of the best in the Washington DC and Northern Virginia area. We provide the extra service and courteous drivers that will make your ride the best that it can be. In addition to our standard limo rentals, we also offer a made to party limo, and a luxury party bus that accommodates groups of up to 35 people. 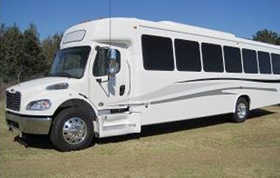 All the vehicles in our fleet are well maintained, and are the latest models in their class. Copyright © 2017 Majestic Limousine Service	| Designed and maintained by Dynamic Media Solutions.